Wednesday night used to strictly be ‘Location, Location, Location’ night. No longer so. Now on a Wednesday night you can find me sat in a packed secondary school classroom in Shepton Mallet, listening to powerpoint presentations on apiculture and studiously taking notes. I’ve been curious about beekeeping for a while, so it seemed about time I armed myself with some knowledge. A quick Google and I found the Somerset Beekeepers Association (SBKA). Their ‘Central Division’ had a six week ‘Beekeeping for Beginners’ course coming up at a cost of just £30. Without hesitation I popped a completed form and cheque in the post. So, what did I already know about bees and beekeeping? Very little. I knew I liked honey, I knew bees lived in hives, and I knew there were Honeybees and Bumblebees. I thought I might like to keep some bees and I definitely wanted to help save our dwindling bee population. The first session was an introduction to the Honeybee. It turns out Honeybees and Bumblebees are just two out of over 20,000 species of bee in the world. There are nine species of Honeybee in the world and just one species in the UK, Apis mellifera. 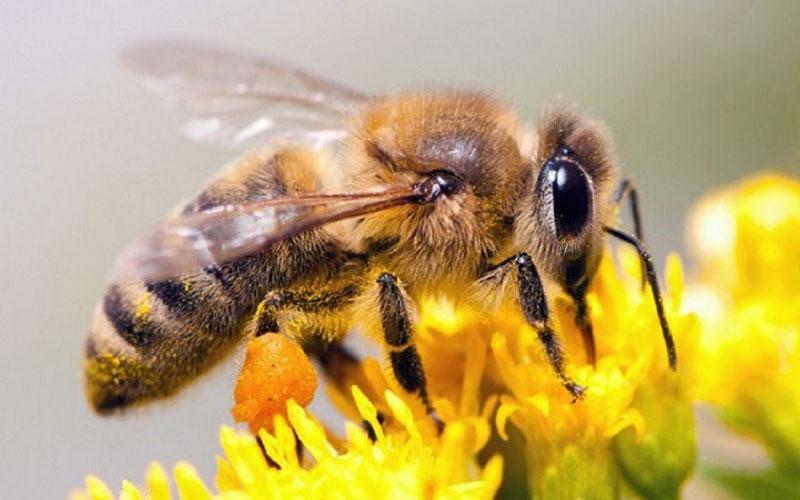 Honeybees are notable because they are social bees, living in fascinating colonies consisting of a Queen, 200-500 Drones, and 10,000-50,000 Workers. The colony is a self-perpetuating unit and survives year-on-year by building up resources of honey to feed on through the winter. For thousands of years humankind has harvested this honey; first raiding the nests of wild bees’ nests, and later developing early beehives. Interestingly, Bumblebees are also social bees, but they live in much smaller colonies of around 120-200 Workers. Unlike Honeybees they don’t overwinter and therefore don’t produce honey reserves. Instead they produce several queens which hibernate overwinter and then start from scratch the following Spring. Still, what Bumblebees lack in the honey-making department they more than make up for as perfect pollinators. Their fabulously furry bodies are ideal for picking up pollen as they bumble from flower to flower. This pollinating prowess is shared with the unsung heroes of the bee world; Solitary Bees. They form the majority of the bee population and perform the most pollination, yet receive the least recognition. Whereas Honeybees wet pollen and stuff it into pollen sacs on their legs (corbiculae) for transportation to the hive, Solitary Bees (and Bumblebees) don’t have pollen sacs and most of the pollen sticks to their furry undersides resulting in far more pollinated flowers. In fact Red Mason Bees (a type of Solitary Bee) are calculated to be 120-200 times more efficient at pollinating than the Honeybee! My first lesson from the Beekeeping for Beginners course then: keeping Honey Bees isn’t the best way of increasing the bee population or pollination. It’s a fascinating hobby and great if you want to harvest your own honey, but there are many, many more types of pollinating bees out there that need our help. So if, like me, you want to preserve the likes of the Digger Bee, Leafcutter and Carpenter Bee — all of which are essential pollinators — the best thing to do is protect their habitats and provide nectar-rich flowers. Amazing. Most of this I did not know. I never contemplated bee keeping simply as a means of preserving bee population, only as a means to get honey. I really look forward to following your blog and learning much more! Thank you! Really pleased you found it interesting. I’d definitely recommend clicking on my reference links at the bottom of the article. There is so much to learn about bees! Had no idea there are so many types of bee!